Gregory D. Peterson is Director of the National Institute for Computational Sciences and a Professor in the Electrical Engineering and Computer Science Department at The University of Tennessee in Knoxville. 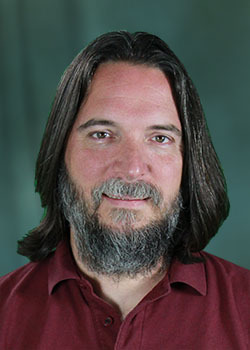 At NICS he is the Principal Investigator for Kraken, the world’s first academic petascale supercomputer, and co-PI and Director of Operations for XSEDE, the eXtreme Science and Engineering Discovery Environment, which provides a distributed cyberinfrastructure and support services to the NSF user community. Dr. Peterson received his BS, MS, and DSc in Electrical Engineering and BS and MS in Computer Science from Washington University in St. Louis. His research focuses on parallel and distributed systems, computational science with emerging computing platforms, reconfigurable systems, performance evaluation, and verification. Prior to joining UT, he was Chief Technical Officer with FTL Systems, Inc. and served on active duty in the Air Force at AFRL where he led systems specification and design automation R&D for AFRL/IFTA. He was awarded the U.S. Air Force Research and Development Award as the best USAF R&D engineer for 1998, for both program management achievements as well as research results. His graduate students have won the ACM Supercomputing conference’s Student Research Competition in 2007 and 2008 for their projects related to reconfigurable supercomputing.